I first learned about Isotoner SmarTouch Gloves about a year ago from reviews on other blogs. I remember wondering why someone would need winter gloves just to use their smartphone. At the time I just did not see the need. Fast forward a year and my perspective has totally changed. As part of my fitness program, I have started walking around my work complex 5 days of week. To pass the time, I listen to music on my smartphone. I walked all during the summer months and I plan to continue as long as the weather permits. So, now that it's December, I am still walking each day, but of course I am now wearing a weather coat and gloves. My hooded coat is keeping me nice and warm, but my winter gloves are not working out. I like to change up my music and I cannot control my smartphone screen through my winter gloves. My hands were getting really cold on my daily walks from me taking off my gloves to control my touchscreen smartphone. Then I remembered those Isotoner SmarTouch Gloves that I did not see a need for a year ago and I knew it was time to give them a try. 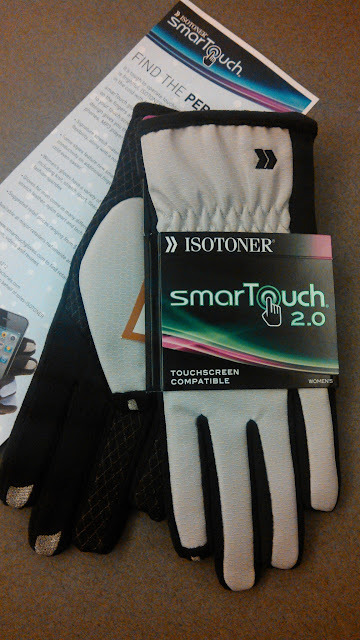 Isotoner was kind enough to send me a pair of their new Isotoner SmarTouch 2.0 Gloves for review. SmarTouch gloves are embroidered with a conductive thread on the fingers and thumbs that are advertised to convey electrical impulses to touch screens to give the wearer the ability to use devices like ATMs, smart phones, MP3 players and more with exceptional accuracy. The SmarTouch 2.0 Gloves have been updated to have conductivity on three fingers, making connecting in the cold even easier. The stretch materials provide superior fit and lots of flexibility, along with a non-slip palm that improves your grip. 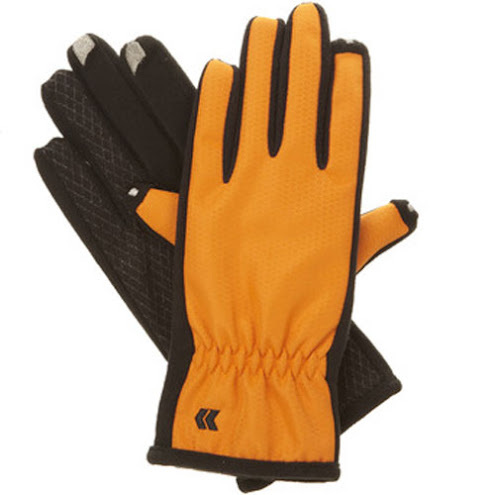 I loved the fit of these gloves and they are perfect to use for driving gloves because the non-slip palm really grips the wheel to improve your steering ability. These gloves are now the only ones that I will wear on my daily walks. I am now able to easily interact with my smartphone to enter my password, swipe screens, and pick my music selections. The material also allows me to grip my smartphone better so I have not so afraid of dropping it on my walks. The material of these gloves also resist stains which I found out when my son rubbed a holiday art project against them and got glitter glue on the gloves. I was able to get the glue off without any staining to the white material. 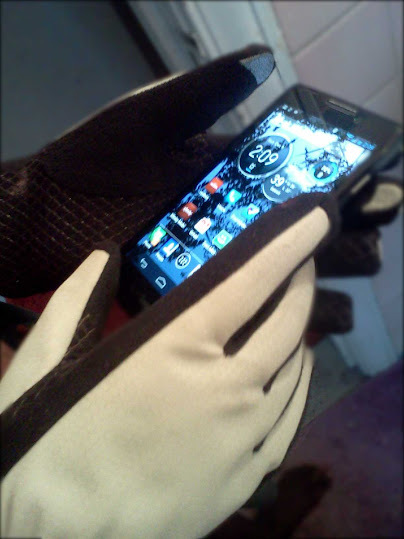 These gloves work great with my smartphone, but they do have limitations. I tried to wear them while using an outdoor Redbox touchscreen kiosks and they did not work. But in fairness, I sometimes find Redbox touchscreens hard to work with even without wearing gloves. I found the gloves are great at keeping my hands warm for about the first 25 minutes on my outside walk. After that the thin material is not so great for continued warmth without putting my hands in my coat pockets. 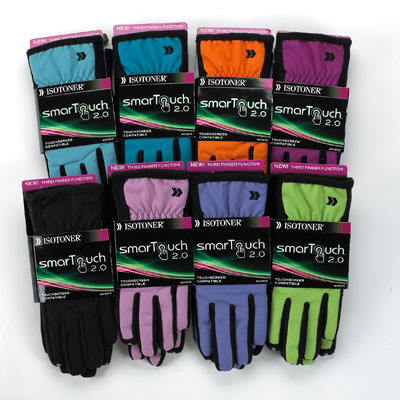 The Isotoner SmarTouch 2.0 Gloves come in ladies sizes Extra Small/Small, Medium/Large, and Extra Large. My hands are on the small side so I asked for the size Medium/Large so that I could get the snug fit that is needed for my fingertips to extend to the tips of the glove's fingers. Isotoner SmarTouch 2.0 Gloves are a must have if you use your smartphone outside. The gloves are available at major retailers and online. Visit www.smartouchgloves.com for more product information and to find a retailer near you. One (1) FREEISMLIFE reader will WIN a Pair of women's Isotoner SmarTouch 2.0 Gloves in the color and size of your choice - HOLLA to the FREE!!! - The contest ends on Thursday, December 20, 2012 at 11:59 am EST. - Prize will be fulfilled to winner by Isotoner or their PR company. - You can get 1 extra giveaway entry for following SmarTouch Gloves on Facebook. - You can get 1 extra giveaway entry for following Isotoner on Twitter. - You can get 1 extra giveaway entry for answering the Isotoner SmarTouch Gloves question at this link. - You can get 1 extra giveaway entry for tweeting the following message on Twitter "I entered the @totesIsotoner SmarTouch 2.0 Gloves Holiday GIVEAWAY on @FREEISMYLIFE http://ow.ly/fWXVK "
Random.org has spoken!!! Out of 268 entries, Random.org has picked #120. Congratulations to the winner of the Isotoner SmarTouch 2.0 matrix Nylon Gloves - Anna Mae T. of Ypsilanti, MI!!! Disclosure: I was sent a complementary pair of Isotoner SmarTouch 2.0 Gloves for review. Isotoner is also providing the prize for this giveaway. All opinions are my own.